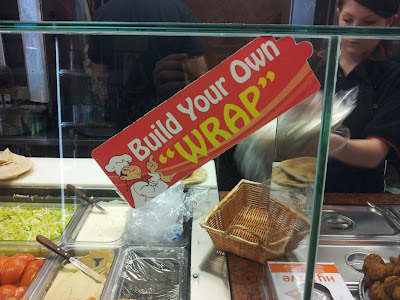 The “Blog” of “Unnecessary” Quotation Marks: build a "wrap"
I had no idea the definition of "wrap" was so restrictive. Thanks Poindexter. It’s a stole that goes around your shoulders, but you make it out of pita bread!